But finally, I caved. 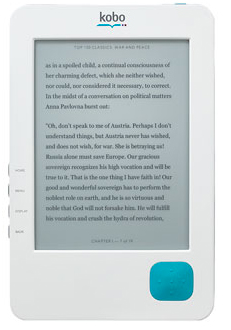 This past Christmas, I got the Nook Color. At first, I was wary of it. I used it very little. I was scared that I would stop reading my physical books in preference for my Nook. But as time went on, I saw what a great reading tool it was, and how it really benefitted me and made my life easier. It opened up my reviewing possibilities! Before, I could only accept physical copies, which meant that I was missing out on a lot of great books that are only available in e-book format. Since then, I've been accepting tons of e-books for review, and I'm so happy I did. Plus, it's made things simpler. In the past, when I went from my mom's house to my dad's house, I would have to lug around 3 or 4 books so that I would have enough reading material to last me while I stayed with my dad. (All my books are at my mom's.) But now, I just bring my Nook and I have an entire library of e-books at my disposal. It lightens the load of my backpack by quite a bit. 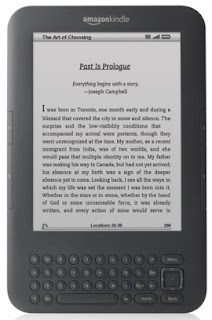 E-readers are a little pricey, but in my opinion, well worth it. And there are several out there, so if you're in the market for one, you're sure to find one that's perfect for you. So what do you think? 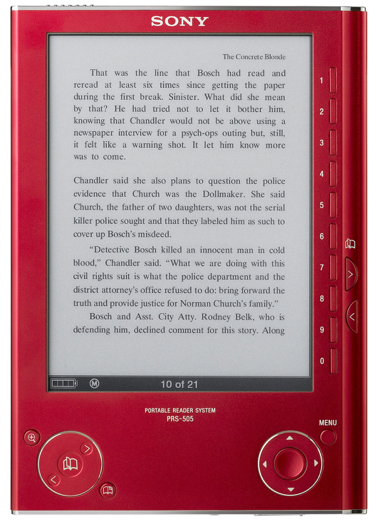 Do you have an e-reader? If you do, what are your opinions on it? If you don't, do you want one? Why or why not? I have the orignal Nook. I thought I would love it, because I had the same problem (lugging around tons of books all the time from place to place), but I really have a hard time reading on it. If the book is really good, I can deal; but reading physical books will always just be better to me. But unlike some people, I think people should read on what they like. Reading at all is better than not at all. I have a Sony and I LOVE it! So much better than reading ebooks on my computer... And so handy for the NetGalley books! And like you said: saves a lot of weight in my bags... I love the combination of physcial books and ebooks I have :) And I still buy physical books like crazy, so I don't think it's really made a difference there. At first when they came out I was wary about them as well; glaring at them every time I saw one in the store, or at the person mentioning them. I'm more scared because I'm worried that in the near future it's going to be ALL about e-books and not about the physical books. I want a Nook Color now, to be able to read e-galley's and such, but I won't stop reading physical copies. I love seeing all my pretty covers on the shelf anyway. I have a Sony Touch and Ipad 2 and I love reading on both. Outside or in bright rooms, I prefer reading on my Sony but in a dark room I read on my Ipad. I do tend to buy ebooks of books I own. I see my physical books as a collection, and I like to keep them in like-new condition. 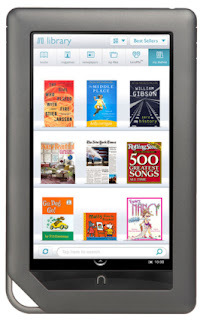 Ebooks tend to have great sales, and I do not hestiate to buy an ebook of a book I own, and intend to read. I just bought my 10 year old nephew the Kobo Touch, and he loves it! Whoa! I feel like a dork, I just read over this post and then when I was about to comment saw that I had already commented. My views are a little different now, though. Ha!